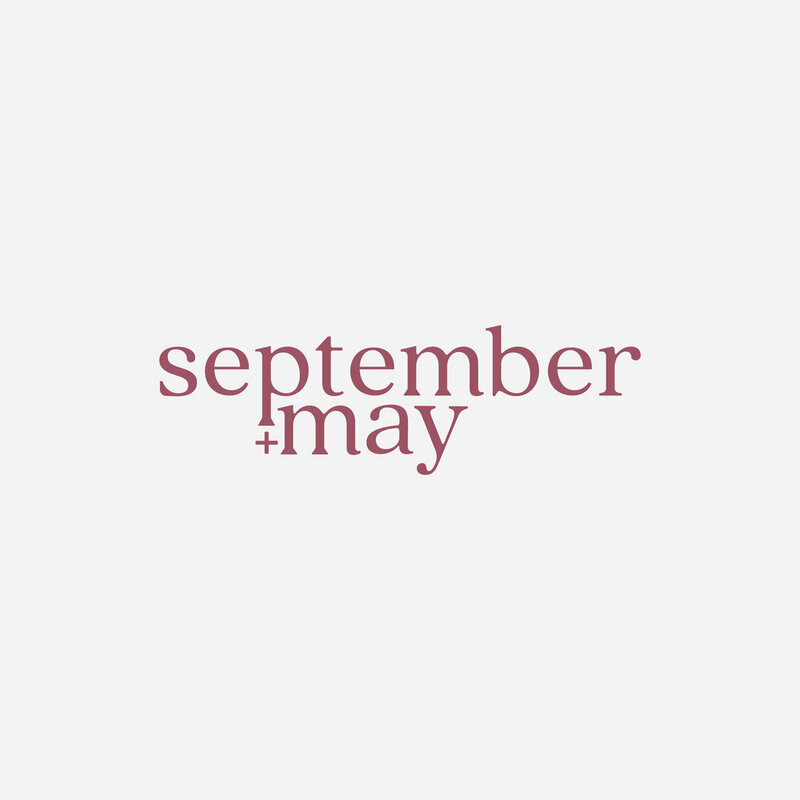 September + May is a creative business that hand crafts beautiful and unique jewelry. Brittany, the owner, approached us to build out a branding for her blooming business. As we were diving into the brand questionnaire and brand strategy for September + May we knew we needed to build a brand that was unique, funky, and would draw people in. To achieve this, we first sketched out both serif and sans serif type, but felt that the brand needed a perfect balance of both to represent both classic and timeless with the serif font, but modern and bold with the sans serif. From there, we created a rose illustration, and other various elements with countless symbolism that was near and dear to both Brittany and the company. We wanted to tie all of these elements together to showcase the brand’s buzzwords: creative, approachable, empowering, and refreshing. Our main goal was still to build a brand with space to grow and evolve as September + May’s brand grows, evolves, and is a platform for Brittany’s creativity - in whatever way that looks next.